The Rangers are going to win. That’s what I was thinking after Rick Nash came streaking down the left side short-handed to bury his first goal of the postseason on an absolute snipe. And it wasn’t just the game I was thinking about, it was the series. 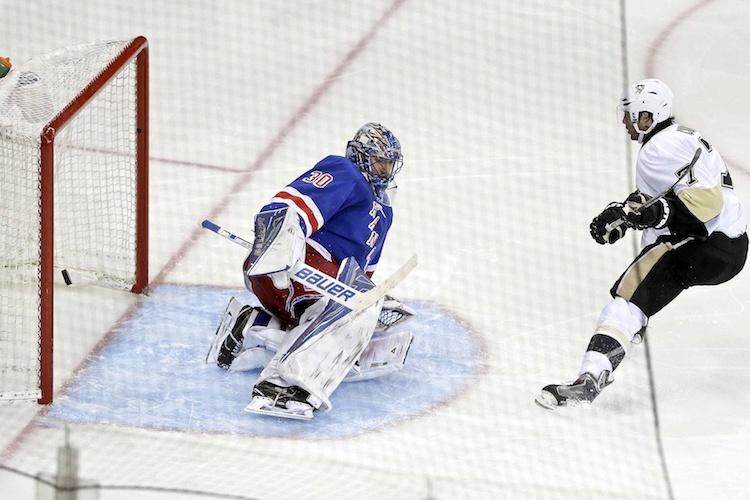 The Rangers dominated the Penguins in Game 1, but lost 5-2 thanks to Marc Staal’s stick. The Rangers dominated once again in Game 2 with the return of Henrik Lundqvist and won 4-2, looking like the playoff team of 2013-14 and 2014-15. Now returning home, I figured they would play the way they had forever in Madison Square Garden in the playoffs, minus their last playoff game there. I was wrong. I was wrong to think one goal 39 seconds into the second period would stand up for the remaining 39:21 of the game and I was wrong to think the Rangers’ team that played so well in the first games of the series would defend the home-ice advantage they now held in the series. The overturned power-play goal was devastating because of how close of a play it was, but the rule is the rule, no matter how odd having your skate on the blue line (which should extend to the roof) but not on the blue line is. It was a bad break, but apparently the right call, and had it gone the other way in this series, and maybe it will, Rangers fans won’t feel cheated. But even after the goal was waved off and time was put back on the clock, there was still 3:20 left on the power play. Three minutes and 20 seconds! But the Rangers couldn’t do anything then or for the entire game aside from one spectacular short-handed (!) goal from Nash. Seventeen shots against a backup goalie in Matt Murray, who hadn’t played in weeks, is troublesome, and the Rangers team that took so many nights off during the regular season the way they unfortunately did against the Lightning in last year’s Eastern Conference finals took another night off on Tuesday. The Penguins are back in the driver’s seat now, having already accomplished their goal if New York: split Games 3 and 4. It was the goal the Rangers had accomplished on Saturday and then with 73 hours off, they laid an egg in front of their home crowd in a game that could have put all the pressure on a team that has succumbed to pressure in the playoffs every year for the last six years. Instead, it’s the Rangers who will be nearly playing for their season on Thursday at Madison Square Garden, needing to go back to Pittsburgh with the series tied at 2. Unless there’s some more magic left in his group of the last three years with another 3-1 series comeback in them. I don’t want to find out. The feeling I had after Game 1 was erased by the performance in Game 2. And the feeling I had after Game 2 was elevated after Nash’s goal. But now I’m back to feeling the way I felt after Game 1 and unless the Rangers win Game 4, that feeling will only get worse. The Rangers have to show up and win a big home playoff game on Thursday. That used to be what this group did.